PARSIPPANY, N.J., Nov. 14, 2018 /Prexly/ — Ferrero, a global confectionery company and the maker of Nutella®, The Original Hazelnut Spread®, is pleased to announce that it will officially open the doors of the highly-anticipated Nutella Cafe New York to the public today, November 14, at 12 p.m. EST. The permanent cafe brings to life an authentic Nutella experience all year-round with a menu of Nutella-centric dishes and specialty espresso beverages. Frozen Nutella Pops at the newly opened Nutella Cafe New York in Union Square. Polenta Pancakes drizzled with Nutella®, The Original Hazelnut Spread®, and topped with blueberries at the newly opened Nutella Cafe New York in Union Square. 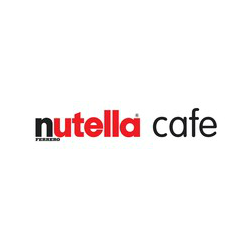 The Nutella Cafe New York is located at 116 University Place. Opening hours will be Monday through Thursday: 7 a.m.-9 p.m.; Friday 7 a.m.-9 p.m.; Saturday 8 a.m.-10 p.m.; and Sunday 8 a.m.-9 p.m. For more information Nutella Cafe New York's menu, location and hours of operation please follow us on Instagram and Facebook at @NutellaCafeNewYork. Follow the conversation on social with #nutellacafenewyork. Nutella® was created in 1964 thanks to Mr. Michele Ferrero; it was based on the recipe for Giandujot developed in 1946 by his father, Pietro Ferrero – confectioner and founder of Ferrero – in Italy's Piedmont area. Nowadays, the popular hazelnut spread with cocoa is available in over 170 countries worldwide. Founded as a family business in Alba, Italy in 1946, Ferrero is the third-largest company in the global chocolate confectionery market, with global sales of over $12 billion, distribution across over 170 countries, and a workforce of more than 30,000 people across 55 countries. Ferrero entered the U.S. in 1969 with Tic Tac® mints, which have become an icon in the mints market, and subsequently introduced Ferrero Rocher® fine hazelnut chocolates, and Nutella® hazelnut spread to the U.S. market. Last year Ferrero introduced American consumers to the Kinder® brand through Kinder Joy®, a plastic egg-shaped package that is comprised of two separately sealed halves, one half contains a delicious treat and the other half contains an exciting surprise toy. Now the third-largest U.S. confectionery company, Ferrero recently acquired U.S. chocolate company Fannie May Confections Brands, which through its Fannie May® and Harry London® brands provide offerings across key categories including chocolate bars, pralines and other snacks. Through recent acquisitions completed by the Ferrero Group and its related companies in 2017 and 2018, respectively, Ferrara Candy Company, a leader in gummy and seasonal confectionery with brands such as Trolli®, Brach's® and Black Forest®; and the Nestle USA confectionery business with over 20 iconic American chocolate and sugar brands from Nestlé, including Butterfinger®, BabyRuth®, 100Grand®, Raisinets®, Wonka,® SweeTarts®, LaffyTaffy®, and Nerds®, have found a home amongst the historic and quality brands of Ferrero.